Mayo Regional Hospital in Dover-Foxcroft. Squeezed tightly by the high cost of doing business at a time when federal reimbursements don’t cover expenses and more patients need free care, Maine’s hospitals are looking to each other to survive. Hospital mergers, consolidations and collaborations have been occurring for the past 20 years, but the trend has accelerated during the past five years, experts said. Coburn likened hospital consolidations to the automobile industry. Successful car companies early on bought their parts suppliers, just like hospitals bought companies offering home care, blood labs and other services. When the car companies failed, they merged, just like some hospitals are doing now. As they combine, some hospitals disappear and turn into clinics, while others expand their geographical reach in an effort to improve the quality of care and cut costs. “[Several] hospitals have stopped operating as hospitals and are now community health clinics,” said Jeffrey Austin, vice president of government affairs and communications at the Maine Hospital Association. They are Parkview Adventists Medical Center in Brunswick, now part of Mid Coast-Parkview Health; St. Andrews Hospital in Boothbay Harbor, now part of LincolnHealth; Thayer Hospital in Waterville, now part of MaineGeneral Health of Augusta; and Goodall Hospital in Sanford, now part of Southern Maine Health Care. Maine has 36 private hospitals, most of which are nonprofit. It also has three major health care systems that include hospitals, clinics, blood labs, home care and other services. They are MaineHealth in Portland, which includes 11 hospitals and is the largest health network in Maine; Central Maine HealthCare in Lewiston, with three hospitals; and Northern Light Health in Brewer, with nine hospitals. In addition, other hospitals and health practices have consolidated in recent years. Austin also is concerned about the number of hospitals operating at a loss. Penobscot Valley Hospital of Lincoln as seen on Friday, Nov. 28, 2014. That trend hit home in January when Penobscot Valley Hospital in Lincoln filed for bankruptcy protection with up to $10 million in debt. The hospital still is operating as administrators search for a way to rectify the situation. Hospital executives cited lower patient numbers stemming from the 2015 closure of the Lincoln Paper and Tissue mill as a factor, along with cuts to federal reimbursement rates. 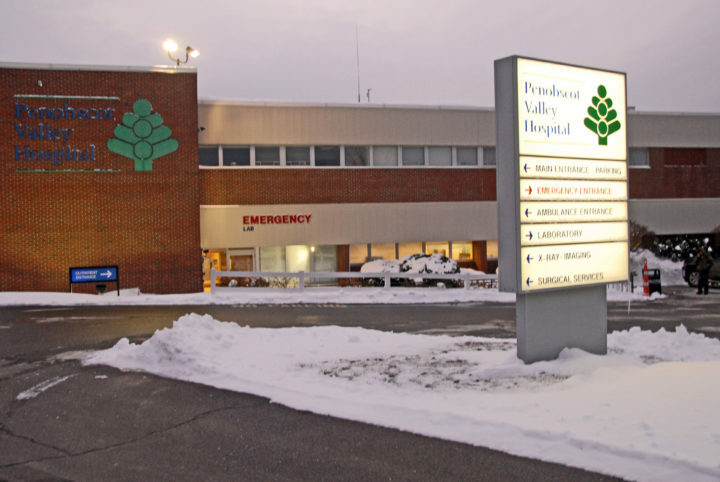 “There is a direct connection between regional economic conditions and declining revenue at Penobscot Valley Hospital,” Crystal Landry, CEO of the hospital, wrote in a January commentary for the Bangor Daily News. The Lincoln Paper closure meant hundreds of people lost their jobs and health insurance. Some moved out of the area. “Since 2015, we have seen a 65 percent drop in admissions and a 10 percent overall drop in total patient volume,” she wrote. Austin said that while a lot of money can flow into health care and hospitals, all that money flows right back out in the form of salaries, prescription drug costs and compliance with regulations. “The aggregated operating margin for all the hospitals in Maine is about 1 percent,” he said. Hospitals are looking for economies of scale, to spread out their networks to attract more patients and to be more attractive to potential staff, which are difficult to recruit to a rural state like Maine, he said. At the heart of consolidations is the effort to preserve local access to health care for patients, assuring quality care and reducing operating costs, said Lois Skillings, CEO of Mid Coast-Parkview Health. 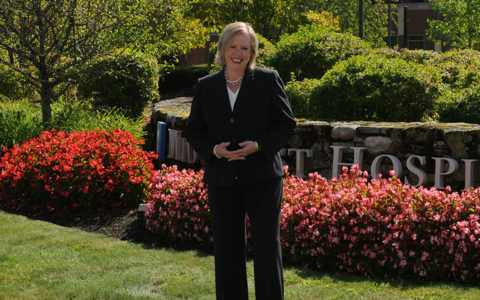 Among the other root causes behind mergers and consolidations that she cited are the increasing complexity of providing health care, technological advances that are too expensive for smaller hospitals to adopt on their own, economies of scale, lower federal reimbursements, higher numbers of patients who can’t afford care and the ability of a larger hospital system to attract medical staff. A larger hospital system that can include more inpatient beds, emergency services, specialty care and walk-in clinics also is spread over a larger geography. That can give a smaller hospital access to more patients and in turn to more services for its own patients. Mid Coast Health bought Parkview Adventist Medical Center out of bankruptcy in August 2015. The two health care systems, now known as Mid Coast-Parkview Health, are about 4 miles from each other in Brunswick. Skillings was CEO of Mid Coast Health in 2015 when it bought Parkview. To acquire Parkview’s assets out of bankruptcy, Mid Coast paid $3.8 million in cash, forgave the $580,000 that Parkview owed to Mid Coast and honored the accumulated vacation balances of Parkview employees amounting to $763,000. Mid Coast also agreed to spend at least $1 million per year for three years on capital improvements to the Parkview campus. “By pooling our resources we were able to be stronger,” Skillings said. “This has been a resounding success.” The combined organization has revenues of about $250 million. Mid Coast’s purchase of Parkview’s assets was legally an acquisition rather than a merger. Acquisitions typically occur when a larger company buys a smaller one that often ceases to exist. A merger is a combination in which the assets of both businesses are joined. Skillings said the resultant Mid Coast-Parkview Health handled its combination more as a merger as the new hospital tried to integrate cultures and organizations. Mid Coast-Parkview Health absorbed Parkview’s 195 employees to bring the total employment at the combined entity to 2,000. Parkview employees were able to keep their jobs without reapplying for them, a strategy used in some acquisitions to trim staff. The Parkview staff also kept its paid time off, salary and years of service. “If we had not done that [integration], the 195 employees working at Parkview at the time would have lost their jobs,” Skillings said. Lois Skillings, CEO of Mid Coast-Parkview Health, says states like Maine with a small population and geography need to think of health care like a scarce resource, a delicate ecosystem. She said Parkview was a small hospital that was unable to sustain its inpatient and emergency room services. “Those services cost so much in an area with a small population,” she said. “There wasn’t the capacity to keep a full service hospital at the Parkview campus, which is four miles away from Mid Coast Hospital. “We wanted the two organizations to come together and heal health care in our community. By avoiding the duplication of resources, we’ve saved $8 million a year. It’s helped us maintain being one of the lowest cost health care systems in Maine,” she said. While Parkview no longer has its inpatient and ER services, Skillings said its work to prevent disease continues at the Center for Health and Wellness on the Parkview campus, which was created after the hospitals combined. The combined organization invested $6.2 million to completely renovate the Parkview campus. Some community members are not fans of the new organization. “Take me to Parkview” bumper stickers still can be seen on cars in the Brunswick area. Concerns from current patients about a potential loss of local services are common in hospital combinations. 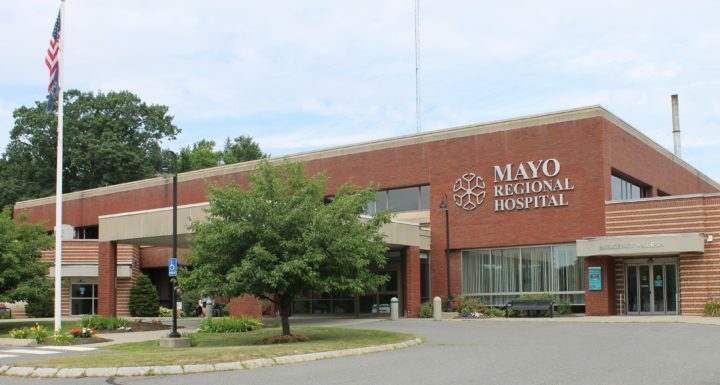 Mayo Regional Hospital is holding a series of public meetings to allow the community to ask questions, including whether Mayo might lose its obstetrics department, as has happened at other rural Maine hospitals. Mayo Regional Hospital President & CEO Marie Vienneau opens a community forum on the proposed merger between the hospital and Northern Light Health at the Ridge View Community School in Dexter, April 1, 2019. The session was the first of four held. Even before the votes supporting the merger by Mayo and Northern Light, Mayo was having difficulties attracting and retaining staff. It closed Guilford Medical Associates, its primary care office in Guilford, on April 5. 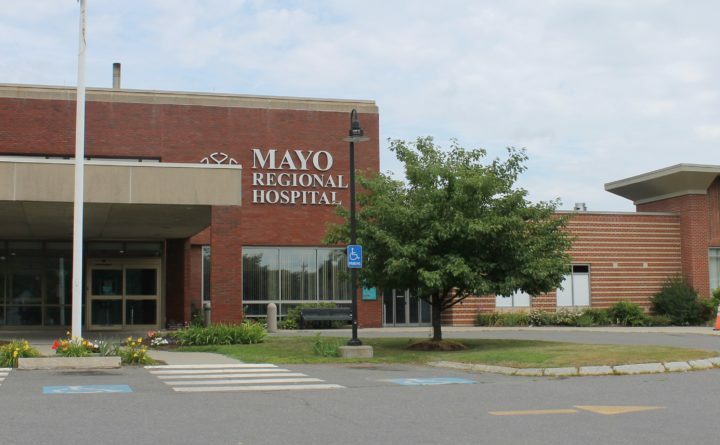 Mayo had a $1.5 million operating loss during the past five months, and has been hurt by Medicare and Medicaid not paying full costs of care, Nancy Glidden, Mayo’s vice president of finance said at the Dexter meeting on April 1. Insurance companies also are trying to pinch reimbursements. “For us as a small hospital, we have very little say to negotiate that. We think in a system environment we can do better,” she said. But even a comparatively larger hospital like Mid Coast-Parkview is feeling the heat of low reimbursements. Skillings said combining with Parkview was necessary for Mid Coast Hospital, which was treating increasing numbers of patients with high deductibles who couldn’t afford care while also receiving lower reimbursements from the federal government. The hospital absorbs $24.6 million in uncompensated care each year. Skillings said Mid Coast-Parkview Health has been able to maintain its low-cost services, which she said average 35 percent below the state average, before and after combining with Parkview. Medicare, she said, does not begin to cover the costs of services. Ongoing and new financial pressures have caused Mid Coast-Parkview to consider merging with MaineHealth. 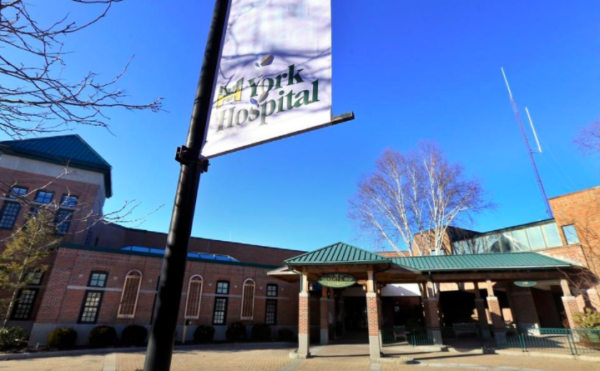 York Hospital is the only Maine hospital involved in a federal lawsuit alleging that new rules by a U.S. Health and Human Services agency could dramatically reduce some Medicare payments. Mergers and consolidations force some tough tradeoffs. 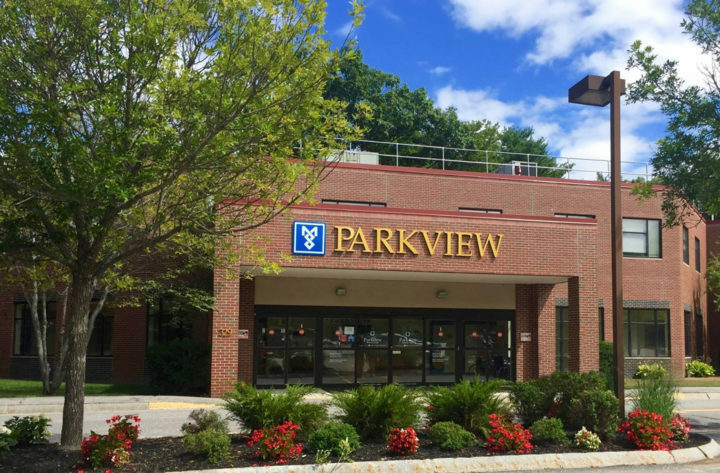 For Mid Coast-Parkview, it meant discontinuing emergency and inpatient services at Parkview. “It was a tough decision because people loved that hospital,” Skillings said. Skillings said it did not make sense to duplicate services when the two health care campuses were only four miles apart. Mid Coast-Parkview is financially and medically strong, she said, and is considering joining MaineHealth to get more economies of scale and access to expensive technologies that would be otherwise unaffordable. “One of the driving forces for joining with MaineHealth is to have one electronic health record, one patient portal, one billing system,” she said. The hospital system’s board will explore the merger with MaineHealth during the next four months. If the board recommends the merger, it will be subject to regulatory approval. The University of Southern Maine’s Coburn said a key benefit deriving from mergers or consolidation is greater access to electronic medical records. “Whatever door you go in, whether it is in Farmington or Biddeford, the health systems will have all of the health history information, even though you might get most of your care in Portland,” he said. The Maine Hospital Association’s Austin said hospitals that remain independent can have partners for services they don’t provide, such as lab services or access to cancer treatment specialists. Whether independent hospitals survive going forward depends on a number of factors, notably location and the health of the regional economy. One lingering question about mergers is whether the combined organizations can improve the quality of care and lower costs. A 2017 study by Charles River Associates that polled hospital leaders and examined metrics found that the benefits of scale from combined organizations do decrease costs and improve care. However, another study by Carnegie Mellon University economist Martin Gaynor found that evidence from three decades of hospital consolidations shows they do not necessarily improve quality. Curtailing competition among hospitals can lead to poorer outcomes, according to Gaynor. That’s especially true when the government sets prices with programs like Medicare. Coburn said it still is not clear whether combined health care systems improve quality and decrease costs in Maine.